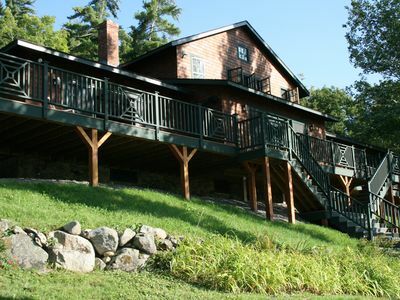 Classic Cottage with Sublime Views and Modern Amenities?Sleeps 8! 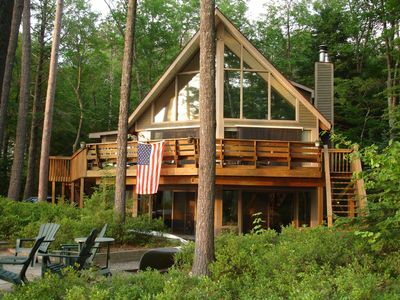 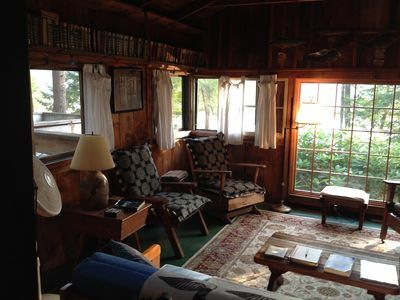 The windows adorning this immaculate cottage on Lake Winnipesaukee are its prime feature. 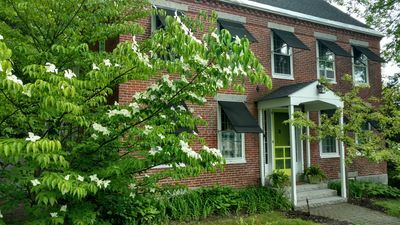 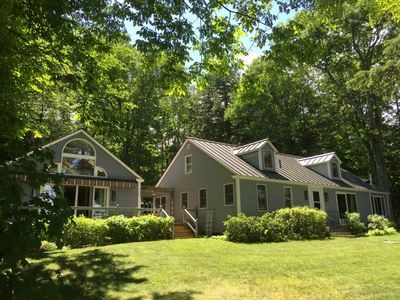 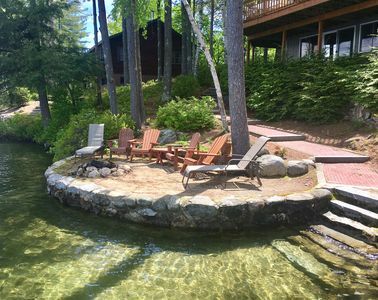 Not only do they let in the ambiance of natural light all throughout the day, they are your gateway to big views of the Ossipee Mountain range and the serene waters of the lake. 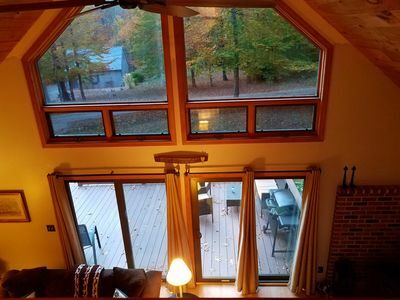 Whether you are enjoying one of the homes four cozy bedrooms or taking in the view from the window-laden sitting room, you are sure to experience euphoria. 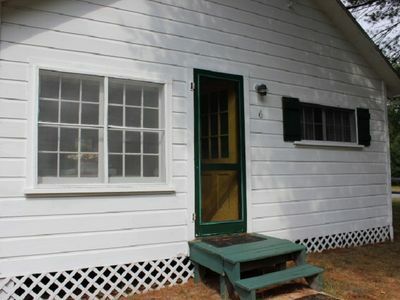 This well-maintained home offers its comfortable accommodations over 2 levels, with lovely features spread throughout. 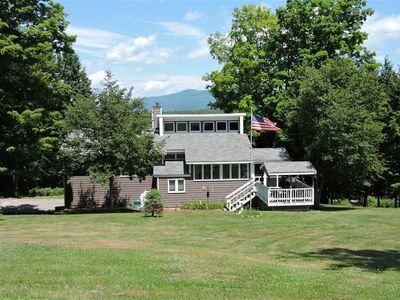 Enjoy a fireplace and big screen TV in the living room, wood burning stove in the sitting room, and Wi-Fi throughout. 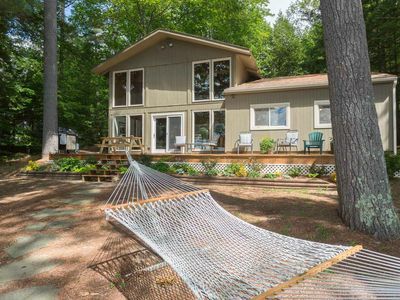 The kitchen has everything you need to cook a good meal, with plenty of opportunities outside to relax after. 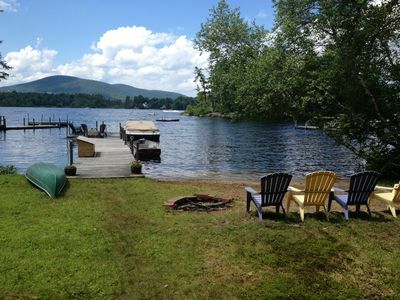 A level lawn is great for games and activities, with good docking and clear water not far from the home. 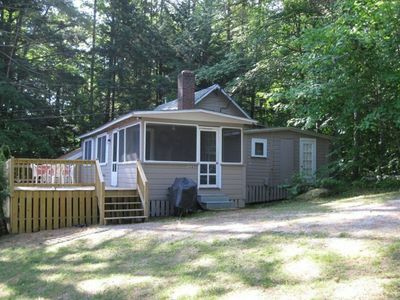 This property is located near Camp Belknap, affording you the pleasure of hearing distant bugles and Loon calls. 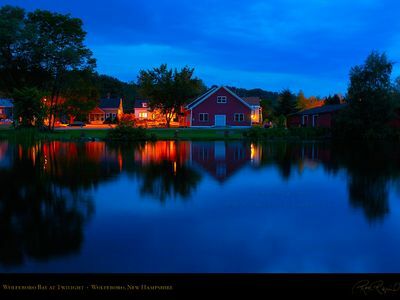 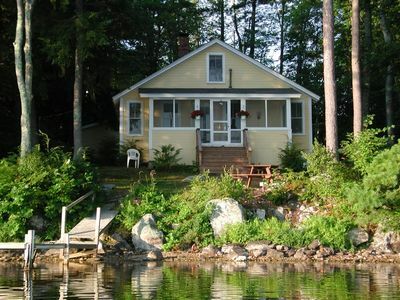 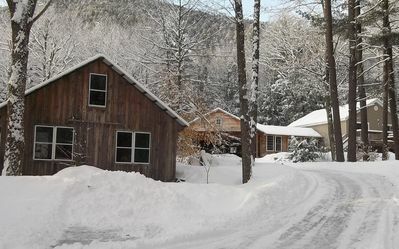 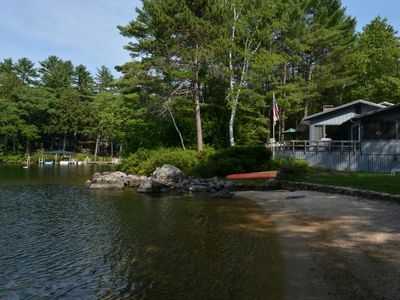 Charming Cottage on Mirror Lake, Tuftonboro, NH,lakeside, $1,550/1,200 wk. 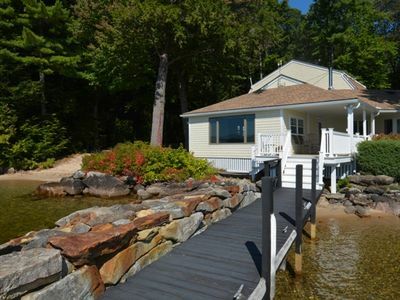 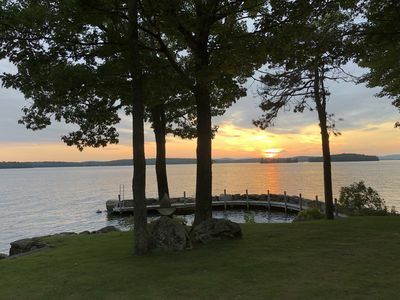 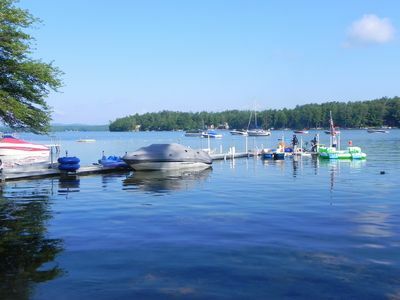 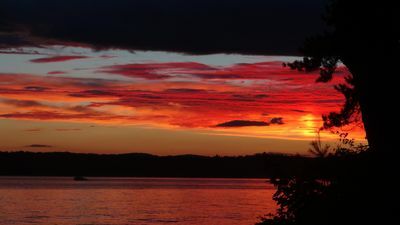 "The Point Home' on Lake Winnipesaukee"